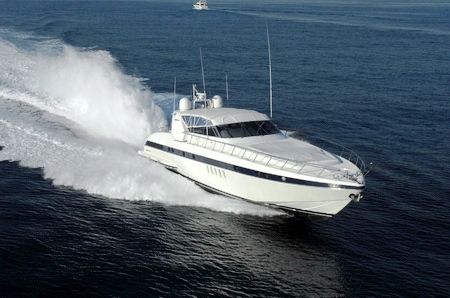 Motor Yacht CHRYSANTHE S is a magnificent Mangusta 80 built in 2000 by Mangusta (Overmarine). 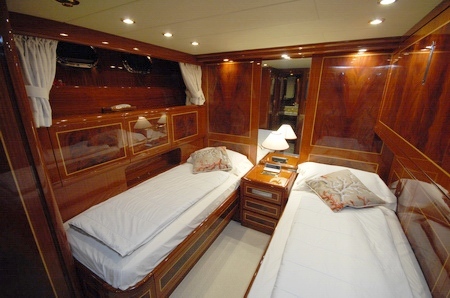 She is 24,38m (80’) in length and can accommodate up to 7 guests in 3 cabins. 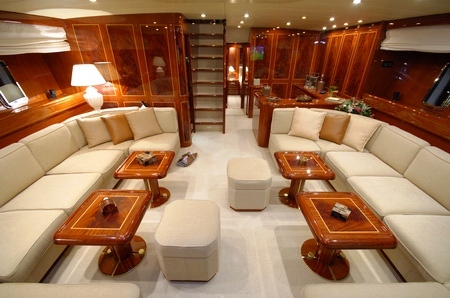 The yacht received a refit in 2004 and is in superb condition as she was a private vessel until 2008. 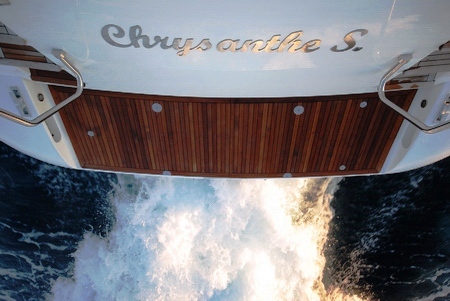 Motor yacht CHRYSANTHE S features 80ft of luxury, technology, performance and supreme design. 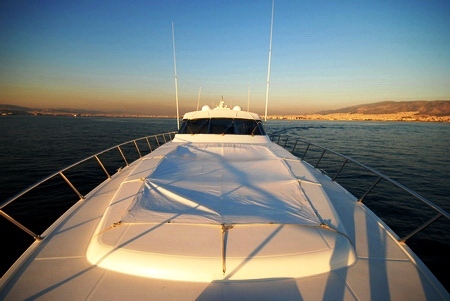 On deck she features 2 double sun loungers and 2 tables each offering seating for 7 guests. 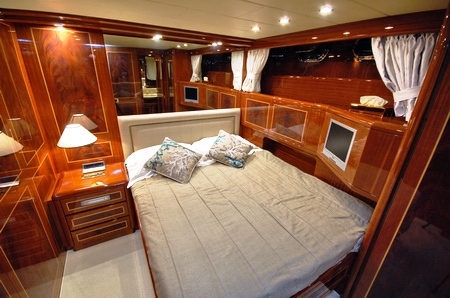 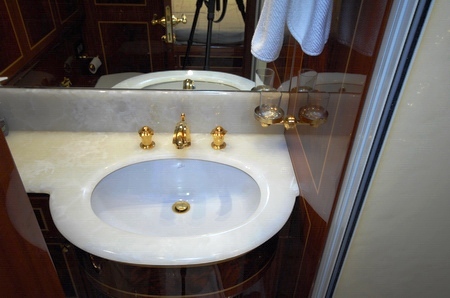 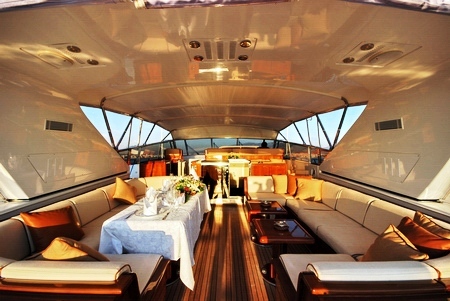 Inside the yacht boasts rich fabrics and decor which enhances the elegant interior. 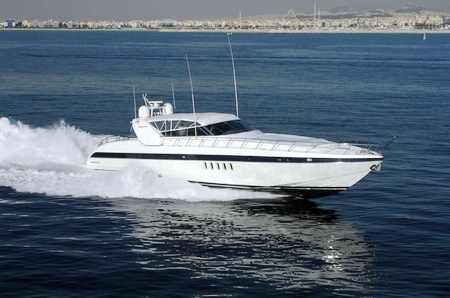 Mangusta yachts were introduced to the yachting world by Rodriguez Group and are powerful and sleek yachts with a sporty profile. 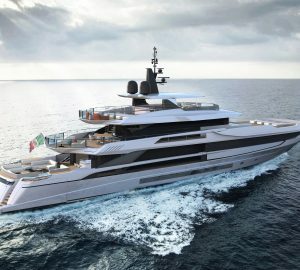 The Overmarine yard in Italy constructs these yachts which are characterised by their long length, open bridge style and speed. 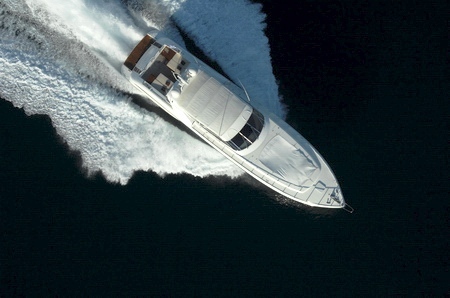 Her 2 MTU 1850hp engines gives enables her to speed along at 32 knots at 570L/hr. 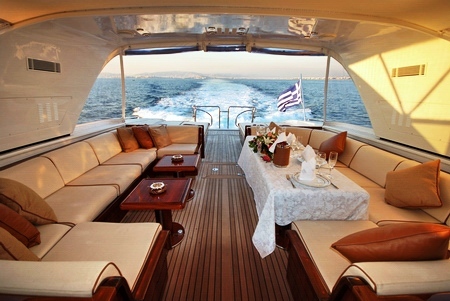 Luxury motor yacht CHRYSANTHE S has latest state-of-the-art communication and audio / visual systems throughout. 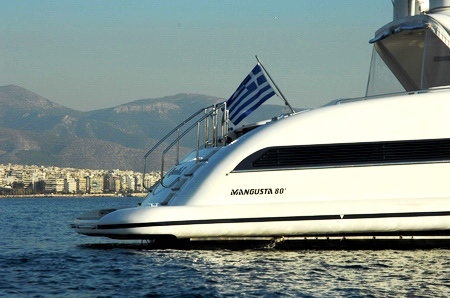 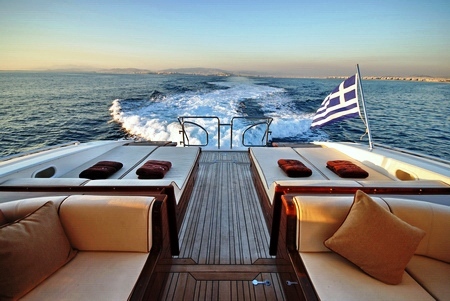 She has 3 crew members offering superior service for yacht charters in Greece. 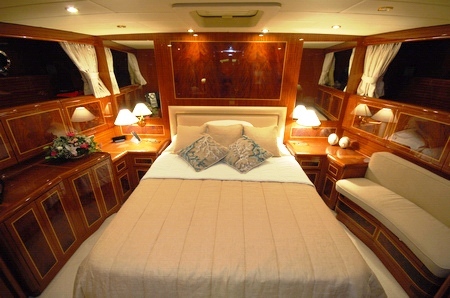 Luxury motor yacht CHRYSANTHE S can sleep up to 7 guests in 3 cabins including a Master, a VIP and a twin cabin with a pullman bunk bed. 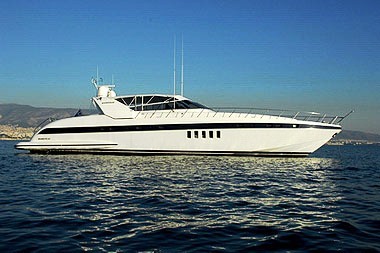 The Mangusta 80 CHRYSANTHE S has a tender. 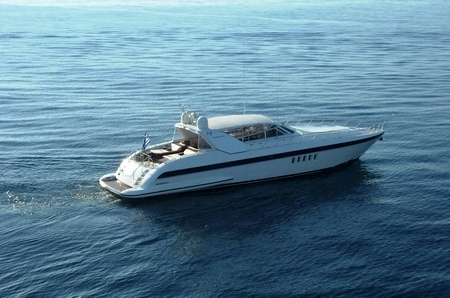 Please contact for further details regarding her tender, toys, and communications plus Audio Visual facilities.